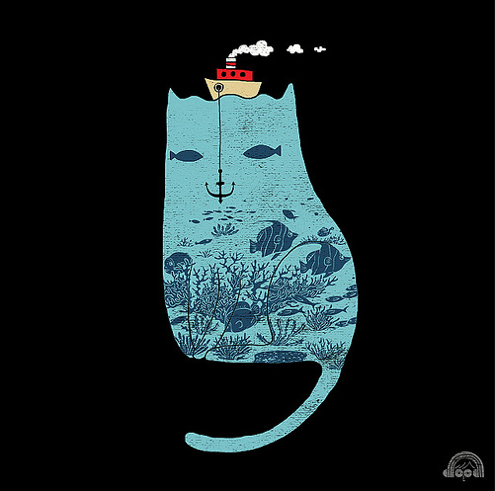 Something Fishy Cat Illustration by I Love Doodle. Check out more of his amazing work at ILoveDoodle.com! I LOVE THIS! Wish i could figure out if it's for sale! That is a very cool picture - thanks for sharing!! !